The Mazda CX-5 is a popular SUV in the luxury category. It’s a compact SUV with a lot of style, and it’s been turning a lot of heads. 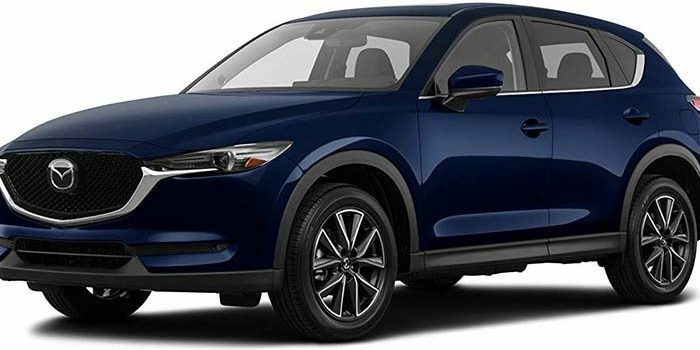 Maybe you’ve heard some various reviews and you’re wondering whether a 2019 Mazda CX-5 is worth the money. If that’s you, we have good news. Today, we’re giving you our take on the compact SUV from Mazda. How does it drive? Is there enough cargo space? And, most importantly, is it worth the money? Let’s get into it. In a word: yes. Yes, this is a great SUV, and yes, it is worth the money. Why the glowing praise? Well, that all boils down to the thoughtful design and killer engine under the hood. The performance is agile, the handling is smooth, and the acceleration is downright impressive. For drivers who want a fun ride while still leaving plenty of room for the family, the Mazda CX-5 is your compromise point. Sure, you can’t buy a Corvette when you’ve got to get the kids to soccer practice. You can, however, by a Mazda CX-5 and have at least a little fun after the kids are dropped off at school. There’s a lot to admire under the hood of this surprising SUV. The powertrain might not sound impressive, topping out at 227 horses, but it’s a surprisingly athletic engine that powers this ride. The engine is also somewhat economical: it’s burning at 25 miles per gallon city and 31 on the highway. This is all assuming you’re opting for the mightier of the engine options, which entails a bit of an upsell in price. However, we recommend the option highly here, because it’s what makes the car. A Mazda CX-5 with a wimpy engine is like an action movie with no fight scenes: pointless. There’s a lot to love with the Mazda CX-5. As for some counterpoints, the vehicle does have sub-par room for cargo and a complex infotainment system. However, these are but minor complaints towards an overall stellar vehicle. The athletic, powerful engine and fun ride more than makeup for these minor complaints. The quiet, luxurious cabin and smooth ride are all icing on the cake. Starting a little over $24,000 and capping out near $37,000, there’s a lot of room to build the CX-5 that’s right for you and your budget from its options. Just make sure you add the upgraded engine option, so you get that sweet ride.